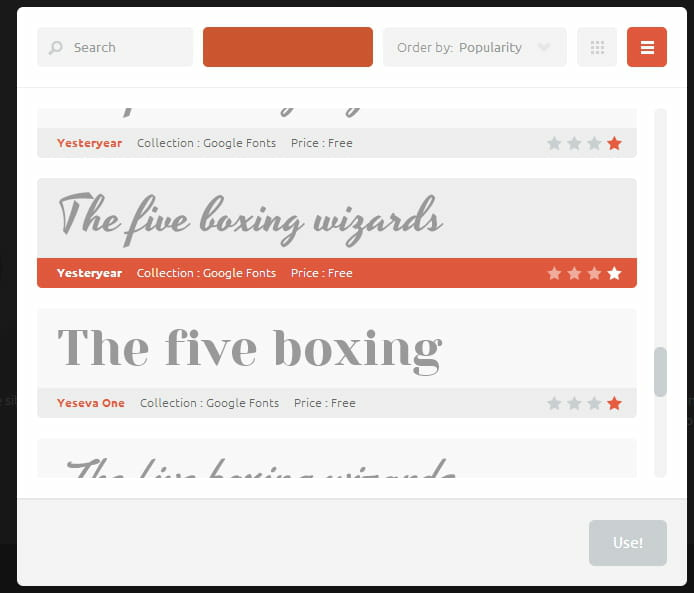 Type Wonder is an online tool allowing you to preview how the different fonts will look like on your website. Now you won't need to go through the code of the site to test a new font, everything is achieved via the interface TypeWonder. To use this tool, simply go to TypeWonder and enter the URL of the site you want to test. The next step is to select a font (a list will be automatically generated). Validate your choice by pressing on the Use button. You can preview a different font by clicking on the "Change font" button. 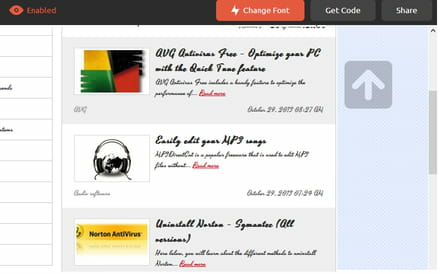 To apply the font of your choice, click on the "Get Code" button to get the HTML code. Embed the code in your website. Note that: TypeWonder also exists as a Google Chrome extension. Published by deri58. Latest update on October 29, 2013 at 08:49 AM by deri58. This document, titled "TypeWonder: Preview fonts on your website," is available under the Creative Commons license. Any copy, reuse, or modification of the content should be sufficiently credited to CCM (https://ccm.net/).